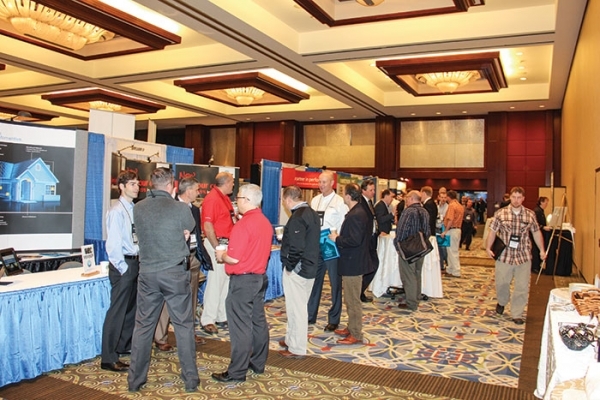 We are pleased to announce that the sixth Panel & Engineered Lumber International Conference & Expo (PELICE) will be held Thursday-Friday, March 12-13, 2020, and once again in the Grand Ballroom North of the Omni Hotel at CNN Center in Atlanta, Georgia, USA. PELICE again immediately follows the Wood Bioenergy Conference & Expo, which will be held March 10-11, 2020, also in the Grand Ballroom North. Both events are supported by Panel World and Wood Bioenergy magazines, and Georgia Research Institute. The 2018 PELICE once again topped 400 industry professionals in attendance, including representatives from more than 30 wood products producer companies that represented dozens of individual mill site operations. They enjoyed 40 presentations on new project development and production technologies concerning veneer, plywood, OSB, MDF, particleboard, engineered wood products, and mass timber. The event was supported by a record 94 equipment and technology exhibitors. Several new mill projects will be hitting full production mode as PELICE 2020 kicks off and speakers will address the challenges and accomplishments of those projects. In addition, several proposed projects will be percolating and many producers find PELICE useful as a gathering point to finalize those details. It’s no wonder that many exhibitor companies and mill producer companies take advantage of the PELICE venue to hold regional and national meetings. We expect another excellent environment at the 2020 PELICE. We sincerely hope your company takes full advantage of one of the exhibitor sponsorship packages.